For the first time since the fall of the Baathist regime in 2003, Iraq is holding a parliamentary election without any U.S. soldiers present in the country. This inevitably opens up for greater roles for regional powers like Turkey and Iran. Historically, since 2003 the main role of Iran in Iraqi politics has been related to the electoral line-up of the Shiite Islamist parties, many of which it hosted during the Saddam Hussein era. In 2005, this involved putting together a single, pan-Shiite coalition ticket that emerged as the biggest bloc in parliament (the United Iraq Alliance). Iran also played a certain role in deciding the premier candidate of the bloc (Nuri al-Maliki), although it was thought to have initially favoured Ibrahim al-Jaafari who eventually lost out especially because of Kurdish opposition. Ahead of Iraq’s 2010 elections, this picture changed somewhat, not least because Prime Minister Nuri al-Maliki had decided to run separately from the other Shiites in the 2009 local elections with his State of Law coalition and was signaling a degree of independence from Iranian control. As a counter-measure, in May 2009, Iran sponsored negotiations between two of the main anti-Maliki Shiite Iraqi leaders, Muqtada al-Sadr and the cancer-struck and dying Abd al-Aziz al-Hakim. With Ahmed Chalabi as intermediary, an agreement was reached in principle to recreate a major pan-Shiite alliance ahead of the elections (the Iraqi National Alliance). The goal was to get Maliki to join eventually, though there was also a clear desire to subjugate him following what was seen as a too overtly independent stance following the US troop “surge” in 2007-2008 and the subsequent local elections in 2009. However, Maliki strenuously rejected all schemes for grander alliances, leading to an electoral line-up consisting of two main Shiite alliances, with Iran backing that of Maliki’s competitors Sadr and Hakim, and their favoured PM candidate Ibrahim al-Jaafari running on that list. Whereas the situation of two competing Shiite lists was different from what Iran had been pushing for in 2010, Tehran was successful in using its allies in the Sadr-Hakim alliance to push the issue of de-Baathification – the cleansing of people with ties to the Saddam Hussein regime from Iraqi public life – to the forefront as an election issue. As the candidacies of several politicians with past connections to the Baath became a subject of debate during the final weeks before the election, Maliki ended up taking the hardline positions of his Shiite competitors, thereby alienating any Sunni support he had been able to tenuously build up during his years of relative independence from Iran. On election day, Maliki won fewer seats in parliament than he had envisaged and came only second in terms of the size of his parliamentary bloc – behind the Sunni-secularist ticket of Iraqiyya, which this time exhibited greater electoral coherence than the Shiites. This situation forced Maliki to drink from what he one year earlier had considered the poisoned chalice of a recreated sectarian Shiite alliance in order to keep the premiership. In August 2010, five months after the elections and with cabinet negotiations still ongoing, Iran basically ordered the Sadrists to accept Maliki as the premier candidate. In doing so, Tehran achieved the goal of a reconstituted, sectarian Shiite alliance in parliament (now called the National Alliance). This coalition was able to form a government with Kurdish support as well as with the more reluctant acquiescence of the Sunni-secular Iraqiyya who by now had been eclipsed by the Shiite post-election coalition building effort. As Iraq goes to the polls again this year, there has for the first time not been any strong Iran push for a single Shiite coalition. Instead, there are at least three major Shiite lists – associated with Maliki, Ammar al-Hakim and the Sadrists respectively – as well as a sprinkling of smaller entities. There could be many possible explanations for this fragmented situation, and for Iran’s apparent acquiescence in the face of it. On the one hand, ties between Maliki and Iran got closer during his second term, thanks not least to the U.S. withdrawal from Iraq in December 2011 and the intensification of the Syrian crisis and its increasingly sectarian character during the course of 2012. Summer 2012 saw an attempt by Maliki’s primary Shiite adversaries to unseat him through a no confidence vote; those manouevres were ultimately thwarted by Iran who reportedly told the Sadrists to back off. Then, ahead of the 2013 local elections – and in an indication of Iran once more strengthening its influence – Maliki was for the first time joined in coalition by the Badr organization, formerly an Iranian-sponsored militia who had split from the Hakim faction. Also, in a testament to his losing interest in winning over Sunnis, Maliki participated in pan-Shiite alliances in several Shiite-minority provinces, including Diyala and Salahaddin. At the same time, Iran must be acutely aware of the opposition to a third Maliki term in some key Shiite circles in Iraq. This includes not only the Hakim and Sadr camps, but also the conservative clergy in Najaf, with whom Iran has an uneasy relationship because of doctrinal issues including the wilayat al-faqih dispute. Whereas it is being suggested that Muqtqda al-Sadr’s recent decision to step back from politics may be the result of instructions from Iran to offer better opportunities for Maliki, it seems likely that Iran is hedging its bets until after the elections. Some of the key players that run separately from Maliki also have solid ties to Iran, including not least Ahmed Chalabi who is this time a prominent candidate on the Hakim ticket, as well as Ibrahim al-Jaafari, a past favourite PM candidate in Iranian eyes. Beyond the intricacies of Shiite politics, special challenges for Iran in Iraq’s 2014 elections relate to the Kurdish political scene. Hitherto, Iran has above all relied on the PUK party of President Jalal Talabani, which has its voter base in parts of Iraqi Kurdistan that border directly upon Iran, for influence among Iraqi Kurds. But with Talabani incapacitated and in long-time hospital treatment in Germany, the PUK has lost considerable influence inside the Kurdish community, to the point where the biggest Kurdish party, KDP, for the first time has decided to ditch the process of a grand Kurdish alliance and instead run on its own in the elections. The KDP, in turn, is the number one Turkish client in the Kurdish areas of Iraq, meaning the new situation poses something of a threat to Iranian hegemony in grand regional terms. To Iran, the ascendant Gorran movement which has yet to align itself regionally may be of potential interest, at least as an Iraqi Kurdish counter-weight to the seemingly firm Turkish ties of the KDP. Iran has always had problems gaining a foothold among Sunni and secular forces in Iraq. Previously, there were attempted contacts with the Sunni Islamist Tawafuq coalition, which participated in Shiite-led government at times when many Sunnis continued to boycott the entire post-2003 political process. This year, though, Tawafuq is not even running. Iran’s relations with existing Sunni-leaning lists are minimal. The list of parliament speaker Usama al-Nujayfi is firmly in the Turkish camp whereas that of deputy premier Saleh al-Mutlak is perhaps the most outspoken one in terms of its criticism of Iran. That leaves only Ayyad Allawi, whose party has historically been critical of Iranian influence in Iraq, though perhaps somewhat less vociferously than Mutlak and his allies. The government negotiations of 2010 actually saw unprecedented attempts by Allawi to reach out to Iran-friendly Shiite leaders critical of Maliki like Ammar al-Hakim and Muqtada al-Sadr, but it remains difficult to envisage Allawi’s electorate embracing any sort of close rapprochement with Iran. It is noteworthy that this year, despite growing regional tension, Iran has refrained from pushing the de-Baathification issue to the forefront of Iraqi politics. It is possible that Iran understands that a complete alienation of Iraqi Sunnis may push them wholesale into the hands of Al-Qaeda-inspired hardliners in Syria such as the Islamic State of Iraq and the Levant, with potentially catastrophic consequences for the balance of power in Syria and the region alike. It is noteworthy that during the continuing crisis in the Anbar province of Iraq that borders on Syria, there has been a constant stream of local Sunni politicians who have announced their interest in cooperating with the Shiite-led government in Baghdad instead of becoming immersed in some medieval-inspired transnational statelet formation in the Iraqi-Syrian borderlands. Whether Iraqi Shiite leaders and Iran are able to use that potential in a positive way will only be known when the votes of the 30 April elections have been counted and the Iraqi cabinet formation negotiations begin. Two of my other pieces on the 30 April 2014 Iraq elections: An overview published by Foreign Affairs (the headline is overly optimistic), and US policy issues, published by the Middle East Institute. As expected, negotiations in Baghdad between Iran and the P5+1 (permanent five members of the UN Security Council plus Germany) on the Iranian nuclear file have ended without any major breakthrough. For Iraq, this means the country can get back to its normal politics, perhaps without the added distractions that inevitably come with a major regional event involving Iran. There has been plenty of speculation as to the causes for the conspicuous synchronicity between the nuclear meeting and the apparent peak of the crisis of the current cabinet headed by Prime Minister Nuri al-Maliki. Has Iran somehow exploited the opportunity to send a not so gentle reminder to international players about its leverage in Iraqi politics? Whatever the external pressures, the Iran nuclear file has for now been consigned to Moscow as its next destination in the second half of June. Maliki no longer has any major external event that can remove attention from internal problems and threats about unseating him. And those threats are gaining momentum. On 28 April, an unprecedented gathering of leaders of the Kurds, the Sunni-secular Iraqiyya and the Shiite Islamist Sadrists issued a letter at Arbil calling for Maliki’s own Shiite alliance to make Maliki change his ways within 15 days or else take steps to withdraw confidence in him. The ultimatum wasn’t presented to the parliamentary head of the Shiite faction, Ibrahim al-Jaafari, until 3 May, meaning that it expired on 18 May. One day later,on 19 May, a second summit was held in Najaf. Barzani and Allawi did not elect to descend from their Arbilian heights but the political representation at the meeting was broadly identical to the 28 April summit. After that meeting another letter was sent to Jaafari. It contained a message to the Shia alliance that their previous (very jejune and non-committal) answer to the first ultimatum didn’t really address their concerns. Accordingly, the Arbil signatories now asked Jaafari to identify a new prime minister candidate. It is widely understood that another deadline of 1 week was imposed, although this is missing in the draft of the letter that has been published. This takes us on to Saturday 26 May as the new deadline for Maliki. Or, maybe we should say, “for the Arbil signatories”. Their bluff has already been called once and unless there is action this time (the second letter is more of an order than an ultimatum) doubts as to the parliamentary punch of their alliance will set in. Come Saturday and it will be crunch time. Already, there are rumours about a planned third summit of Maliki critics, this time in Mosul. The problems are however about more than the sheer timing of the no confidence initiative. A second set of issues relates to the modalities for getting rid of Maliki envisaged in the proposal. In the leaked letter the Shia alliance is given the job of finding a suitable replacement, because “it is considered the framework for choosing the prime minister”. Not so fast, please! The constitutional problems here are perhaps best understood through a little bit of prospective history writing. 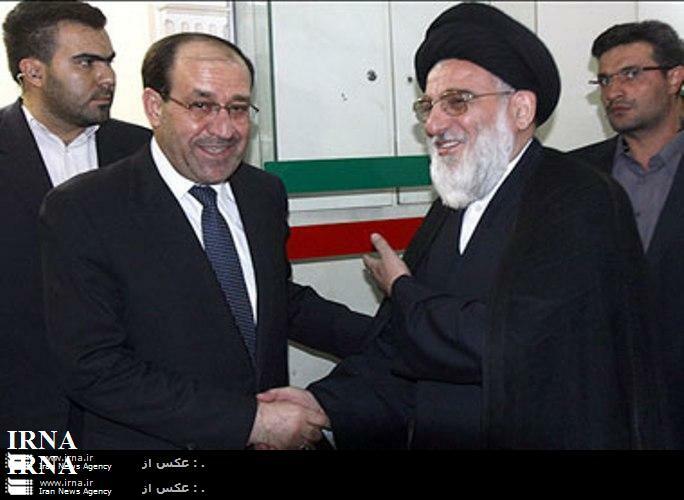 If indeed the Shia alliance votes to change Maliki, it will likely break apart. Now, if all or nearly ally of Maliki’s alliance defects in solidarity with him, the rump National Alliance is no longer the biggest bloc in parliament, and hence has no right to appoint the next PM. Nor has Iraqiyya, which has already dwindled in size to 85 deputies with indications it would be further reduced to at least 75 if an attempt were made to force out Maliki. To avoid Maliki’s bloc getting hold of the nomination of the next PM, Iraqiyya would need to first form a bloc with the Kurds or the Shiite Islamists, agree on a bloc leader and so on. Incidentally, this would imply a negation of their own interpretation of article 76 of the Iraqi constitution on the prime ministerial nomination procedure (which Iraqiyya in 2010 saw as belonging to the biggest electoral list). Also, there seems to be a prevailing theory that the current Shiite alliance can simply swap Maliki and someone more likable as premier with the rest of the cabinet remaining in place. Again, this is erroneous. Constitutionally, the whole cabinet is considered resigned if a vote of no confidence in the prime minister succeeds. Accordingly, every single member of the cabinet will have to leave their posts and it is for the Iraqi president to identify the next prime minister on the basis of the “biggest bloc”. This is what makes it so hard to understand another bargaining chip used by the opponents of Maliki these days – that of the possible resignation of the current president, Jalal Talabani of the Kurdish alliance. Such a scenario would leave the current deputy president that remains within Iraq, Khudayr al-Khuzaie, in charge for the next 30 days until parliament has elected a new president. Khuaie is a Maliki ally. Also, attention would inevitably be deflected from the prime ministerial question. The most recent developments have seen Ahmed Chalabi assume a leading role among Shiite critics of Maliki, with frequent meetings of the original half of the Shia alliance known as the Iraqi National Alliance (INA) that was formed in August 2009 with Iranian backing. Some even consider Chalabi a forerunner for replacing Maliki! We should soon find out who they have in mind, because it will be very hard for the Maliki critics to backtrack for their latest string of ultimatums without stultifying themselves in a serious way. Parts of the Arbil Agreement Are Published: So What? As if any reminders were needed, the leak of some outstanding issues related to the Arbil agreement over the weekend only served to underline the essentially utopian and completely unimplementable character of that whole concord. The published list is not an “agreement” at all; rather it is a schedule of legislative priorities that includes several items seen as particularly difficult, including the law on the supreme court which constitutionally requires a two-thirds majority. Also, it should of course be emphasized that the released points are not the full Arbil agreement, which also includes a more limited trilateral document which is the only thing signed by PM Maliki, Allawi of Iraqiyya and the KRG’s Barzani (and which among other things deals with the intention of establishing a strategic policy council). Only emphasizing the amateurishness of the whole thing, some points released from the Arbil agreement amount to de facto rewriting the Iraqi constitution. This includes the ridiculous “consensus” file, which stipulates 100% consensus for certain “fateful” issues including constitutional reform. Never mind that constitutional procedures with lower thresholds are already in place. Another dubious item that comes to light is the concept of “constitutional balance” (tawazun dusturi) – code for ethno-sectarian quotas and supposedly to be implemented for such positions as deputy ministers, ambassadors and governmental commissions. In fact, the Iraqi constitution merely stipulates such quotas for the armed forces/security forces and the constitutional review committee. The only other constitutional balance requirement is in article 105 and relates to the formation of a committee that will make sure governorates and regions (not ethnicities) are given “fair” participation in government. Again, this depends on future legislation and cannot be implemented by fiat of the political leaders. All in all, the Arbil agreement is simply too big and ambitious – a classic case of political bulimia and nothing more. Thus, despite these supposedly fateful revelations, the only truly interesting question in Iraqi parliamentary politics these days remains whether the Sadrists are prepared to sack Maliki or not. Everything else – including lofty agreements to implement every iota of Arbil – will play into Maliki’s hands by letting him procrastinate the many proposed pieces of legislation ad infinitum. Meanwhile he will continue along the lines of his preferred strategy: Nominal power-sharing and de facto minority government, reflected in an accumulation of acting ministers lacking parliamentary approval. As long as his enemies appear unable to unite in sacking him, why would Maliki do anything else? A word on the international approach to the ongoing Iraqi power struggle is also in order. Those who want to get rid of Maliki – especially in Iraqiyya but also in some American circles – tend to portray him as an Iranian stooge. They should keep in mind that it is Muqtada al-Sadr that commands the swing vote in this matter. Whatever Sadr decides is probably what Iran sees as being in its best interest. Consequently, if the Sadrists should after all line up with the others to vote out Maliki, this will probably reflect an Iranian desire to see him go, perhaps in order to have him replaced with a “weaker” Shiite premier. This is why it is so hard to understand those arguing for the sacking of Maliki from an anti-Iranian perspective. As for the US, two contradictive tendencies are seemingly at work. Some months ago, the Obama administration was accused of promoting a “split Iraqiyya” policy aimed at deeper integration of some Iraqiyya ministers and other government officials while shutting out those parts of Iraqiyya that don’t cooperate with Maliki. The merits of those accusations are disputed. But in any case, it deserves mention that if there is in fact such a policy by Washington, it gets constantly contradicted by the US government’s own insistence on keeping the Arbil agreement as the key to better integration of the government. This is so because as long as Arbil remains on the agenda (instead of, for example, a more limited but implementable deal on security ministries), key “centrist” people in Iraqiyya like Usama al-Nujayfi – the parliament speaker – will continue to take the positions of Allawi and the Kurds and the wide gap to Maliki will remain, without any meaningful integration of secularists and Sunnis in the current government. There are reports that Barzani, the KRG president, is travelling to the United Arab Emirates today for a high-level meeting, supposedly to heap even more pressure on Maliki. The truth is that Barzani can travel as much as he wants but it doesn’t matter much unless he makes Muqtada al-Sadr actually withdraw confidence in Maliki. With an Arab foreign minister meeting completed, a website launched and an official emblem designed, it now seems the Arab League meeting in Baghdad on 29 March may actually become reality. The significance of that fact, in itself, is not to be underestimated. Only months ago, few analysts found the idea of having the Arab summit realistic. The notion of substantial high-level representation was certainly dismissed. On the surface, one can easily get the impression that a Saudi-Iraqi rapprochement has enabled the summit preparations to go ahead in recent weeks. However, the appointment of a Saudi non-resident ambassador to Iraq and the articulation of the word “change” in Iraqi discourse on Syria are long overdue baby steps. And one could also argue that these moves are above all cynical tactics: Iraq wants the summit simply to celebrate its return to normalcy after the US withdrawal, whereas Saudi Arabia is eager to maintain momentum in multilateral cooperation on the Syria issue. Nonetheless, one should not dismiss the slight improvement in the regional climate as necessarily a transient phenomenon. When Iraqi Sadrists deliberately tone down their criticism and say AL summit participants should be welcomed to Baghdad, that in itself is a significant move which takes away some of the punch in the “Shiite crescent” theory as a framework for understanding the regional behaviour of Iran, Iraq, Syria and Lebanon. Egypt has recently settled debt issues with Iraq; Wednesday this week Prime Minister Nuri al-Maliki is headed to Kuwait with a similar objective. One of the most interesting recent developments in this respect is the joint Arab–Russian initiative for Syria. This is so because Russian influence has taken the AL in the direction of a plan for Syria that Iraq, too, might sign up to. The emphasis on non-interference and the focus on an impartial supervisory mechanism for Syria, in particular, are things the Iraqis can approve of. It does not matter in this respect that nobody knows exactly what the supervisory mechanism will look like: Cynically disregarding the plight of the Syrians, as far as regional diplomacy is concerned the process is to some extent an aim in itself. Of course, the Russian-Arab plan is a far cry from what countries like Saudi Arabia and Qatar wanted for Syria. Perhaps the more important aspect is the fact that it did come into existence despite objections from some GCC countries. Going forward, the key question for Iraq’s return to the Arab fold may well be how it interacts with other Arab states that are less hawkish on Syria than Saudi Arabia and Qatar. The arrival in Washington of Iraq’s prime minister, Nuri al-Maliki, has been accompanied by considerable media hype. A key talking point for the Obama administration is the idea that Iraq is facing a more positive future as 8 years of occupation are coming to an end. Among the indicators of progress cited by President Barack Obama today are the statistics of violence in Iraq, which currently stand at an all-time low. Obama also mentioned a series of “indicators” that strictly speaking relate to the future rather than the present, such as the “expected” increase in Iraqi oil production and the “scheduled” meeting of the Arab League, to be held in Baghdad. Additionally, much attention has been given by the US media to recent statements by Maliki to the international press that all emphasise the idea of Iraqi sovereignty towards its neighbours. Opponents of the Obama administration, on the other hand, are trying to highlight possible indicators of Iranian hands working behind the scenes. Previously, the so-called special groups and the Sadrists more broadly have received attention; recently, the fate of the pro-Baathist Iranian opposition group Mojahedin-e Khalq, still camped in Iraq, as well as the pro-Iranian suspected terrorist Ali Musa Daqduq – currently in US custody in Iraq – have been suggested as bellwethers with relevance for the coming period and possible test cases re continued Iranian clout in Iraq. Some will also ask about the realities of the “non-interference” concept that seems to be the current Iraqi foreign policy doctrine: Iraq will not interfere in Syria, and will not let Iran interfere in Iraq. What, then, are we to make of rumours that Iraqis, including Sadrists, actively (and militarily) support the Syrian regime these days? If that is the Iraqi interpretation of non-interference, can we be assured that informal Iranian “support” will not continue to characterise Iran–Iraq relations? The critics of the spin-doctoring are right, but they could in fact have painted a far more dramatic and wide-ranging picture of the precarious situation in Iraq. Just look back at the formation of the second Maliki government that was finished one year ago almost to the day. Among the features highlighted by commentators in the international community and especially the US government at the time (and criticised by others as unrealistic) was the agreement to create power-sharing through a national council for high policies as well as through distributing the security portfolios to the biggest political blocs. But where are we today? One year after the formation of the government, all the elements of power-sharing highlighted by optimistic commentators back then remain unimplemented. The strategic council is hardly at the drawing-board stage and even optimists within the Maliki government suggest that any agreement on security ministries is many months ahead. The composition of the Iraqi delegation accompanying Maliki to Washington very much reflects this state of affairs. Maliki is assisted by one adviser and two Shiite Islamist ministers with close ties to Iran, two Kurds, one long-exiled, nominally Sunni defence minister who enjoys only limited support in Sunni-majority areas, as well as two technocrats. Glaringly absent is any representative of the Iraqiyya coalition that won most votes in the March 2010 parliamentary elections. If that is not sufficient to raise doubts about the realities of power-sharing in today’s Iraq, perhaps developments in Diyala today can serve as a better reminder. Reportedly, Iraqiyya figures played a key role in launching a request for a referendum on federal status for that governorate – interestingly with at least some Kurdish support (some say in exchange for the acceptance of Kurdish claims to the disputed territory of Khaniqin). There was rejection from some Shiite parties including ISCI as well as in the Khalis sub-governorate, plus reports that a Kurdish local politician in Diyala was arrested today by a force from Baghdad. Nevermind that the whole federalism bid to some extent was accompanied by illegality in the way it mimicked the “declaration” of a federal region attempted by Salahaddin in late October! When you have the resources of a superpower, safely withdrawing military forces is in itself not exactly a major accomplishment. True, violence in Iraq is down, but in the big picture the critical reduction of violence antedated 2009. Maliki does things in the name of Iraqi nationalism that Iran doesn’t like, Obama told us today, but when was last time that actually happened? Probably in autumn 2009, when he decided to try to run the State of Law alliance separate from the other Shiites in the upcoming parliamentary elections – and failed. Sunni interest in federalism – virtually non-existent in 2009 – is a sign of the disintegration of national politics rather than a positive development. The inescapable truth is that much of the current pathology of Iraqi politics dates back to the 2009–2011 period, precisely when President Obama and Vice President Joe Biden were in charge in Washington. Not all of what Washington Post columnist Charles Krauthammer writes is easy to agree with. However, in his latest take on the Iraq policy of the Obama administration, despite some degree of simplification and hyperbole, there are some good points relating to Iraqi government formation in 2010 that are not usually articulated in US policy-making circles. “Three years, two abject failures. The first was the administration’s inability, at the height of American post-surge power, to broker a centrist nationalist coalition governed by the major blocs — one predominantly Shiite (Maliki’s), one predominantly Sunni (Ayad Allawi’s), one Kurdish — that among them won a large majority (69 percent) of seats in the 2010 election. At least to some extent. Krauthammer is making the valid point that not everyone needed to be included in the second Iraqi government, and that the eventual inclusion of the Sadrists did make Maliki overly reliant on Iran. “The Obama administration should not sit back and allow Iran and sectarian parties to decide Iraq’s political future. President Barack Obama needs to send a message that Iraq is for the Iraqis, not for the mullahs in Tehran and their Iraqi surrogates. The problem was that this and other US proposals for “intervention” only envisaged a desirable end result, i.e. a coalition of Iraqiyya, State of Law and the Kurds. They did not address or engage with the question of how their preferred nominee for prime minister, Nuri al-Maliki, would actually end up getting that position in accordance with Iraqi constitutional procedure. When the Americans found themselves unable to square desired end games with constitutional process, instead of looking more carefully at the constitution or ideas circulating among the Iraqis at the time, they began making up the rules themselves. This included complete inventions like the strategic policy council – designed as a consolation prize for Ayad Allawi in lieu of the premiership – as well as a last-minute attempt to oversell him the largely symbolic presidency. Khalilzad’s own preferred solution was a suggestion for splitting the premiership in two two-year terms, which again was unconstitutional and almost certain to end up with an acrimonious struggle once the first term neared expiry, if not earlier. 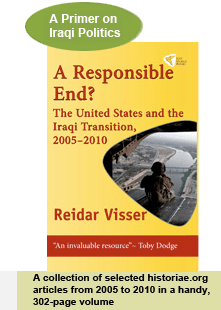 The disastrous outcome of these failures – both that of the largely passive Obama administration as well as the general haplessness of the minority “hands-on” crowd that preferred the Khalilzad approach – is the oversized, still-not-quite-seated Iraqi government of today, unable to deliver Washington the extension of the SOFA that at least the Pentagon, if not the White House, had been craving for. What the Americans could have done instead was to listen to the Iraqi debate at the time, where ideas that could have solved the whole issue actually existed. The first step would have been the formation of a super-bloc of Maliki’s State of Law and the secular Iraqiyya. This coalition could have ruled itself with a majority of about 180 deputies in parliament, or could have added the Kurds later on (the Kurds had signalled they would not be part of a greater bloc formation, so the premiership issue would have to be settled between Allawi and Maliki). The key point is that the new bloc could have agreed on a prime minister, most probably Maliki, that would not have been dependent upon the Sadrists or Iran. Arguably, to all parties including the Kurds, the best way of structuring the government would actually have been to exclude the Kurds entirely. By so doing, the government would have had greater incentives for developing internal coherence and autonomy versus the stormy regional environment, and would also have been in a better position to provide generous concessions to the KRG. The problem was that the sheer thought of not having the Kurds included would have prompted immediate panic in Beltway circles, where there seems to be general ignorance of the fact that the whole idea behind deep autonomy for the Kurds in the constitution is precisely to safeguard them against the prospect of no representation at the level of the central government. The checks and balances were already in place, and yet Washington kept clamouring for more! A smaller governance-oriented cabinet would have confined the federalism question to the KRG and in turn provided for greater leeway in oil-related negotiations and territorial bargains. Conversely, in today’s situation with a weak, oversized cabinet and 15 un-federated governorates that are increasingly looking like potential federalism threats, paranoia and authoritarianism are likely to characterise the executive in the months and years to come. Let’s not forget that Charles Krauthammer enthusiastically gave his stamp of approval to the happy-go-lucky federalism clauses of the Iraqi constitutional draft in September 2005. Meagre Results for Biden in Baghdad? Vice President Joe Biden has so far been unusually tight-lipped about his recent trip to Iraq, the latest in a string of increasingly unsurprising “surprise” visits. Could it be that the results are not particularly positive? The assumed list of real US desiderata in Iraq right now is as follows: 1. Renegotiation of the SOFA to allow some US forces to stay beyond 2011; 2. Establishment of the national council for strategic policies that was promised during the negotiations leading up to the formation of the Maliki government in late December; 3. Completion of that government without Maliki himself (or the Sadrists) emerging too strong with respect to the security ministries. It can be safely assumed that these issues were talked about, or at least that Biden attempted to talk about them, behind close doors. However, all that has been reported in public concerns the essentially ornamental “Strategic Framework Agreement”, which unlike the SOFA is an empty, non-committal arrangement with few real implications despite all the spin surrounding it. On the other hand, on the three assumed key issues there has been no development reported, which after all is not terribly surprising. Regarding the SOFA, this is related to a straw-man argument that has been making the rounds in Washington for the past year, to the effect that Maliki secretly wants US forces to stay beyond 2011 and that only the evil Sadrists – with Iranian instigation – can prevent him for asking for an extension of their presence. In fact, there is nothing to suggest that Maliki is any more interested in an extension of the US presence than the Sadrists are. With respect to the strategic policy council, Ayad Allawi is still waiting in the wings but indications are that the draft law has now become so watered down that the council will have no meaningful role – though if it does come into existence eventually (that’s after the Iraqi parliament has decided on committees and a budget, at the earliest), it will no doubt be celebrated in Washington as a triumph of American diplomacy regardless. As for the security ministries, one increasingly gets the impression that candidates personally vetted by Maliki will gradually assume control. Falih al-Fayyad, from the movement of Ibrahim al-Jaafari, was recently made national security adviser. The sad irony is that the media narrative on Muqtada al-Sadr’s recent return to Iraq has masked an opportunity for the US government to do something about the situation. The dominant version of Muqtada’s return suggests that it “reflects” the rise of the Sadrists and their kingmaker role. The truth is that once Maliki had been nominated as candidate, he did his best to keep the Sadrists out of real positions of influence at the top level of government, with only three Sadrist ministers having been confirmed so far (rather than the “seven ministries” often referred to in the press which includes four ministries not yet appointed that may or may not end up in Sadrist hands). The government that was created on 21 December was in fact dominated by State of Law and Iraqiyya much more than Iran may have hoped for, and it seems reasonable to interpret the return of Sadr from Iran, after two days of consultations between Iranian leaders and Ibrahim al-Jaafari in Tehran, in this light. In other words, there is still a fight going on about the future direction of the Maliki government. If Washington had opted to forget about the strategic policy council at this stage, chances are that the relations between Iraqiyya and State of Law would actually have improved rather than deteriorated. But once more, the United States keeps sticking to policies that will keep the government sprawling and disunited, exactly as Iran wants.